Looking to snag yourself a used copy of Mega Man & Bass from GameStop? Well, you might want to act fast -- the Game Boy Advance is on the way out. With the Nintendo 3DS rapidly approaching release in North America, GameStop is preparing to phase out all GameBoy Advance-related content very, very soon. Come April 2nd, the retailer will cease all trade-ins for GameBoy Advance systems and games; this according to sources at Joystiq. 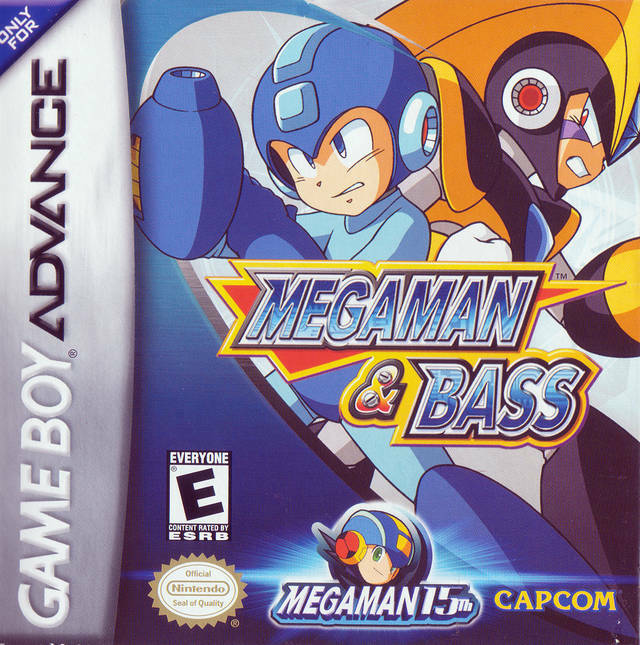 The GBA is home to MANY Mega Man games -- sixteen titles, to be precise (that includes multiple versions). Used copies of most are plentiful, but after April 2nd stock won't be replenished; once they're gone, they're gone. That said, now might be a good time to run out and pick up any games you've missed in the past, especially those that don't have their own Nintendo DS collection counterpart (i.e Battle Network!). There's also been some talk of a GBA clearance sale in the future, but nothing's official yet. In any case, it'd be wise to keep an eye out. Now, if you'll excuse me, I need to secure a copy of Battle Chip Challenge. Maybe now I can finally own MMBN2 when I don't need it. Not everyone can buy things online, Hyper. I like instant gradification from my purchases, Hypercoyote, so I try to avoid ordering online. I hate waiting. That's ironic, because my best friend gave me Rockman EXE BattleChip GP as a birthday present (with box, manual and everything). Despite it being vastly different, I actually can see why some people liked it. It had it's own sense of strategy and depth to it, much like all the other Network-timeline games (EXE and SSR). As for Rockman & Forte, I'd rather just continue playing my Super Famicom original. Better controls, better sound, no screwed up zoom-in, no weird Auto-Save feature that sometimes ruins my save files because of inconsistency between each other, etc. Only just now? GBA games are already rare in the stores I've been in. Oh well, used used game stores will still scratch that GBA itch. Capcom won't leave you hanging. If there's one thing Capcom's pretty good about, it's re-releasing games to keep them available to the general public. And a Mega Man Battle Network Collection is long overdue. :) I give it a year. I wouldn't be worried about whether or not GameStop still has any MMBN games. I do wonder if they still sell Fire Emblem games. Been looking to try out that series for a while. Well thats a gip........I was at my Gamestop and they told me "We don't trade in GBA games"
That was back in september those jack wagons. 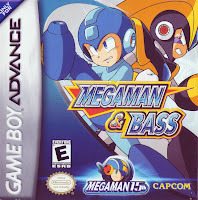 Luckily, I already got myself a used copy of Mega Man & Bass back in Summer '09 (despite having the SNES ROM already). However, this may still be a problem for me, since I've been meaning to get ahold of the Donkey Kong Country port for quite some time. Seventeen games? I can only count 17 if I include the Japan-only EXE4.5. What am I missing? @VoiceOfReason: The BEST handheld before the DS's entrance into the world of gaming. @VoiceOfReason: The funny thing is that the GBA had a relatively independent shelf-life. It came out in 2001 and by 2004 the DS was already coming onto the scene. I don't buy used GBA games from Gamestop cause the jackasses threw out the boxes and manuals. I keep all the stuff that comes with my games, and wouldn't you know it... in no time at all most of my GBA games became more valuable than their retail price. The only exception is Ninja Five-0, that game was rare enough, buying it complete was too damn expensive. I'll pass on a copy of Battle Chip Challenge, but then again, I said that about Misadv. of Tron Bonne back in the day. Well good thing theres online but the problem is waiting and they release a MMZ collection or maybe just maybe there gonna release a MMBN collection if that fits in one ds cartrage or or by bundles like 1-3 on the 1st cart then 4-6 in the 2nd cart with special features like the unrelease yet MMBN Shooting Star in english ver. Nope, Mania has yet to be made public.